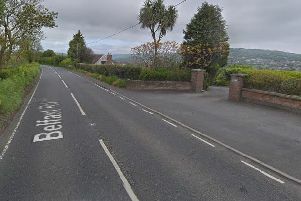 Antrim and Newtownabbey Borough Council plans to develop a greenway from Doagh to Larne have received a funding boost. The project is to receive £25,000 from the Department for Infrastructure and the Public Health Agency. The money is being provided under Stage 3 of the ‘Small Grants Programme for Greenways’. Andrew Grieve from the Department for Infrastructure said: “Exercise – Explore – Enjoy: a Strategic Plan for Greenways, sets out the department’s ambition for the creation of a 1,000km network across Northern Ireland. A total of eight schemes across four local government authority areas are sharing in the £200,000 announcement. Mary Black, assistant director for Health Improvement at the Public Health Agency, added: “We are delighted to be working with the Department for Infrastructure to support greenway development as the greenways provide opportunities for children and adults to incorporate walking and cycling into their everyday lives, whether for active travel, recreation or health. “As many adults and children are not taking the recommended amounts of physical activity, enhancing the infrastructure to help everyone get more active is a positive step. In August 2017, Mid and East Antrim Borough Council was awarded £25,000 to develop a detailed design for its greenway proposal. This was completed in March. The PHA’s website www.choosetolivebetter.com has tips on how to get active.